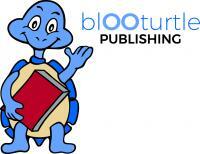 About blOO blOOturtle Publishing is a young eco-friendly children's book company. According to our slogan Thinking Kids, Thinking Planet! we combine fantastic and creative stories for kids with green, eco-friendly and hence kid-friendly book production. We are involved in finding extraordinary stories which inspire and encourage kids while thinking of a healthy future for you and them. Visit our website to learn more on our submissions criteria (newcomers are welcome! ), our concept and our planet focused trOOblOO publishing programs. Sydney, 6 November 2018 — Eco-friendly publisher, blOOturtle, is placing its support around Share the Dignity’s Christmas #itsintheBag collection that aims to make life better for women and girls experiencing homelessness or poverty ahead of the festive season. The publisher will donate $1 for every English version sold online of its latest picture book release, Willow Willpower, to #itsintheBag between 16th November and 2nd December 2018. “At blOOturtle, we’re very passionate about our slogan: Thinking Kids - Thinking Planet. The belief that basic personal hygiene products like pads and tampons are luxuries for homeless women and girls at risk of or who are experiencing domestic violence, is beyond words. We want to contribute to being part of the solution,” said Nicola Ganaye, Creative Director of blOOturtle Publishing. Share the Dignity’s #itsintheBag collection is simple. People are asked to choose a handbag in good condition that they no longer use. Then, they’re asked to fill it with items that have the power to make a woman feel special before popping in a thoughtful note or Christmas card to show the recipient that someone cares. Donations will be accepted between 16th November and 2nd December 2018, with Share the Dignity announcing collection points soon. “It’s all about showing women, regardless of the challenges they currently face, that they matter and deserve to feel special. Christmas is a challenging time for many people and especially women who find themselves in a situation where everyday necessities such as shampoo, conditioner, a toothbrush, toothpaste, soap, deodorant and sanitary items are not easily accessible,” said Rochelle Courtney, founder of Share the Dignity. Willow Willpower encourages children (and people of all ages) from 3 years old to dream big and believe anything is possible. Since its release on 11 October to coincide with the United Nations’ International Day of the Girl, it’s been receiving rave reviews from kids and parents alike. “One of the most pleasing pieces of feedback about the book is that it’s acting as a real conversation starter. There are so many different threads that the book explores: gender, women excelling in traditionally dominated spaces, travel, exploration, discovery, pioneers like Amelia Earhart and the list goes on,” said the book’s author, Sarah Cannata. Please contact Sarah Cannata on 0407 536 133 or via email (info@sarahcannata.com.au) with any queries or interview requests.